We are delighted that you are going to lead Morning Worship at Baildon soon. We hope that the information in this leaflet will be useful to you as you plan your service. Please SEND your detailed order of service by the Monday prior to the date of your service (sooner if you want any special arrangements please). This e-Mail address will reach the stewards, musicians, computer volunteers and the person who arranges readers. You can also use this e-Mail address for any queries. We aim for our morning worship to take around 1 hour. The children from Adventurers (the name of our Junior Church) will join the adult worship at around 10.50. We hope you will welcome the young people and invite the teacher and young people to tell the congregation what they have been doing during their session. It is helpful for families with children in Junior Church or the Creche, and for older people who are being collected, to be confident of the time when the service will finish each week. During 2014, we followed a programme called JSP 1: “Jesus-Shaped People”, which challenged us in many ways to become more like Jesus both as individuals and as a church. This was followed in 2015 with JSP 2 programme: “Spirit Filled Church”, and in 2016 and 2017, we are exploring JSP 3: “Parables for Baildon”. 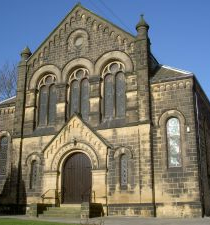 Baildon Methodist Church is an Eco-Congregation. We would encourage you to celebrate God’s creation and the wonderful world we live in and develop themes around the integrity of creation and the need to care for our environment. We are an outward-looking church. Please help to make all our morning services as inclusive, understandable, joyful and welcoming to newcomers as possible. Please link worship themes to day-to-day living and current events. We encourage the use of modern hymns and songs, as well as familiar traditional ones with strong tunes. We primarily use “Singing the Faith” hymn book, but we can find the music for other hymns and songs. Please send any queries to our accompanists via the worship@ e-Mail. Volunteers will prepare an “Easy Worship” schedule for the service and project it on to a screen at the front of the Church, the projected image can also be seen by you on a monitor which faces the lectern. Please e-Mail any words of songs not in Singing the Faith and details of any prayers, YouTube clips or images that you wish the congregation to be able to see. We have an excellent system of microphones. The Stewards will help you to make the best use of these. Please make sure that any children taking part can be seen and heard. We are committed to expanding our work with children, young people and young families. Our Junior Church provision on Sunday mornings is called “Adventurers”. Generally, on the 1st, 4th, and 5th Sunday of each month, the Adventurers start in their own activity groups and come and join the adult congregation towards the end of morning service. Please liaise with the Adventurer’s leader to include time for the children to share what they have been doing when they come into church. The 2nd Sunday of each month, is our special Family / Parade Service. Children and young people (including some from our flourishing girls’ uniformed organisations) remain in the service for the entire time. Please aim to make our all-age worship as participative and relevant to young people as possible. In particular, we would advise against a “sermon” and encourage the use of short talks and/or teaching activities throughout the service and the use of up-to-date worship music / songs and new media (including You-Tubes / DVDs). On the 3rd Sunday of each month, the Adventurers start in their own activity groups and come to join the adult congregation for the communion towards the end of the service. Please use a short and modern version of the communion liturgy and aim to make the communion service understandable to children and newcomers. We can supply a suitable liturgy on request. The Stewards will be pleased to welcome you when you arrive at our church on Sunday morning, to lead the worship.